Still impatient about Star Wars’ not-yet-announced opening date? 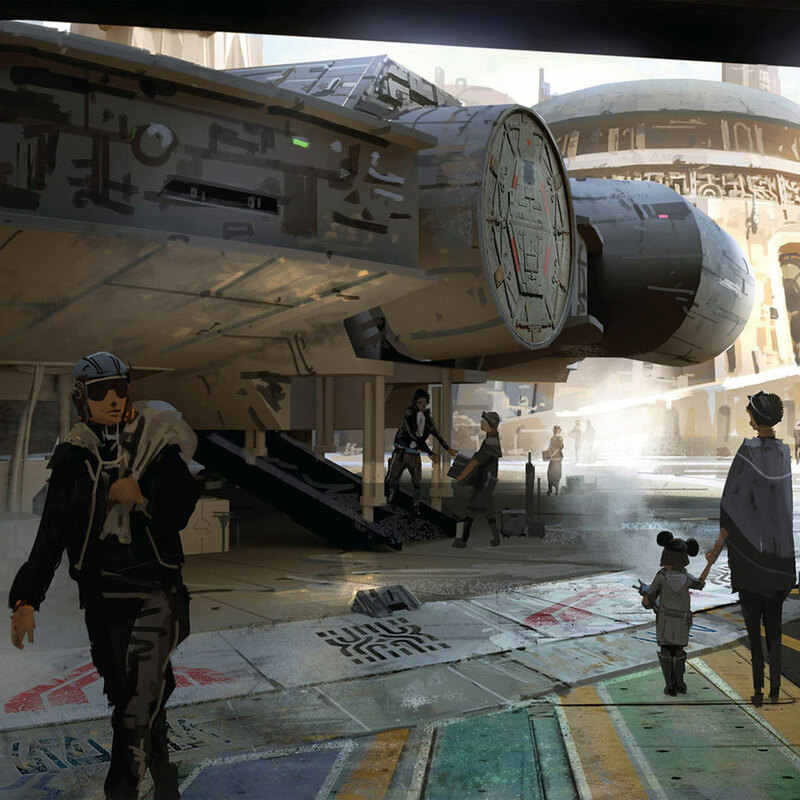 On top of everything that’s already in place at the parks, it was announced last week that a new Star Wars stage show would be coming to Disney’s Hollywood Studios this April. A few months later, the park will also debut a stunningnew fireworks show with high-tech projections onto surrounding buildings, pyrotechnics, and special effects—massive lightsabers in the sky! Disney released a handful of never-before-seen renderings last night, and in all of them, there’s one thing missing: people. Humans are few and far between in these early images, which means Disney must be preparing to deck their cast members out in wild costumes and extensive hair piecesevery day, are building some wild audio-animatronics to fill the crowd with authentic Star Wars characters or, hopefully, both. Either way, we’re in for something truly one-of-a-kind—and not just because the promise of meeting droids and aliens could finally be what curbs those Anna and Elsa meet-and-greet wait times. Another new development is that there will in fact be a fully immersive table-service restaurant inside of Star Wars Land. With jewel-toned hues, gilded lamps, and tiled ceilings, there is some definite Moroccan inspiration going on here, but that’s not what we’re most curious about. If you squint reallyhard at the rendering of the “planet’s best dinner club,” you’ll see a droid holding court in the middle who bears an eerie resemblance to C3PO...wonder what he could be doing there? !